“If you destroy an entire generation of peoples’ culture, it’s as if they never existed. That’s what Hitler wants. And it’s the one thing we can’t allow,” George Clooney intoned in the feature film, Monuments Men. The movie brought a true story into mainstream popular culture. As many of us know, real men and women–a ragtag platoon of curators, art historians and architects–risked their lives to save works of art. Well, Guru brought one of the paintings that was actually saved from the Nazis to life. Watch below, as one of Guru’s augmented reality features brings history to life–reminding us of real-life defenders of our culture and history. Download and open your Guru-powered app. As you walk through a museum, your phone knows where you are. When you come to an augmented reality painting, your phone lets you know. Check out the video below to see a demo of how it’s done! 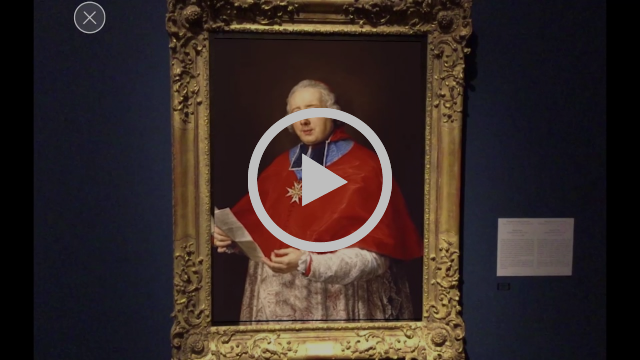 Let Cardinal Etienne Rene tell you all about his painting’s history.